Thank you for thinking of us and for remembering that we are more than just a maze! See all of the mBB discounts below for Maze, farm store, and ice cream! 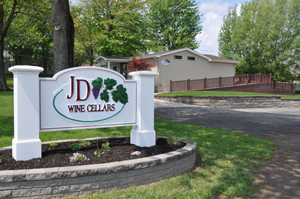 JD Wine Cellars is the newest addition to Long Acre Farms, one of New York State's oldest Agritourism farms. Schedule & hours of operation. $1 off all admission tickets when you show your mBB ID card (pricing varies with the season and activities) - current admission prices. Corporate Groups: Free Back 40 admission with paid Teambuilding Maze package. The 2018 maze opens to the public weekends starting in mid-September. Moonlight mazes Friday and Saturday evenings (open to corporate groups during the week). The Maze is open from 6 to 11 PM these evenings with the last entry at 9 PM.